One of the main advantages of our resort is ultimate attention to comfortable family holidays with children. Every mother without a doubt thinks about nutrition opportunities while choosing a place for holidays. Medical Resort “Alfa Radon” offers a wide selection of dishes for its youngest guests. The buffet menu always includes natural dairy products and yogurts, cereals, pancakes and omelets, fresh and cooked vegetables, puree soups and bouillons, a big variety of garnish: rice, mashed potatoes, spaghetti, as well as organic meat dishes, poultry dishes, sea food dishes, natural juices and homemade fruit-drinks. Herbs and some vegetables which are used for cooking grow in the special eco-garden located on the resort territory. As for desserts there is a big variety of fruits and desserts cooked by our chef. Our youngest guests won’t get bored as they together with animators and cooks can cook vareniki with cherries, cookies with fruit icing, pizza and cupcakes. After fun master classes we all drink tea and treat each other, our little guests love this lot! 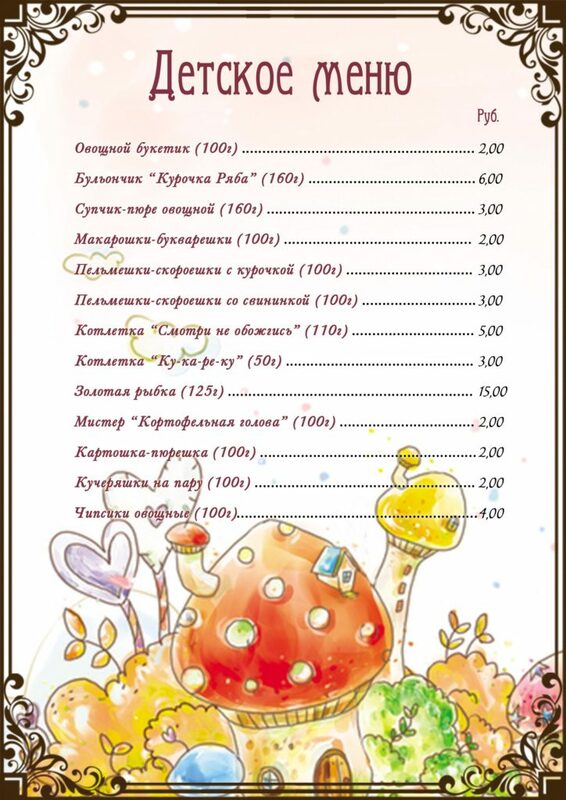 There is a special a la carte menu for children in “Alfa Radon” Bar.